Choosing the perfect wedding shoe can be a challenge. Do you search for a store that specializes in wedding shoes, or do you look for a pair at your local department store? I suggest you begin with your taste in footwear, and have that in mind and then you start looking. One element that you can’t ignore and you have to pay immediate attention to is how the shoes feel and if you can wear them all day. A pair of heels that kills your feet changes everything about you – your posture, your face, you get angry. Nobody should be going through the most exciting day of their life wishing that they weren’t wearing something that they are wearing. 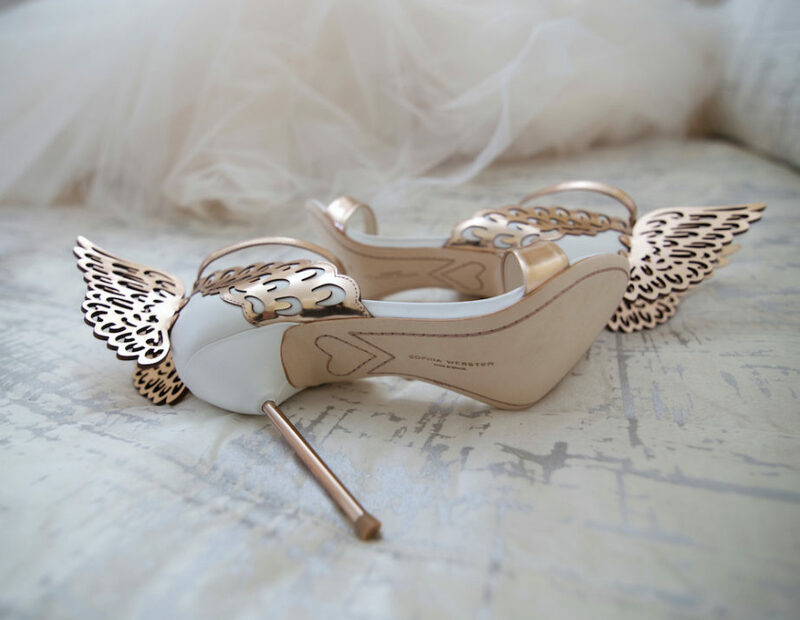 Keep in mind that the wedding shoe will be a memento that you keep for a lifetime. You definitely want it to be a gorgeous pair that you will always look back on and remember how wonderful the day was. I personally love fashion shoes being worn by brides as opposed to traditional shoes. 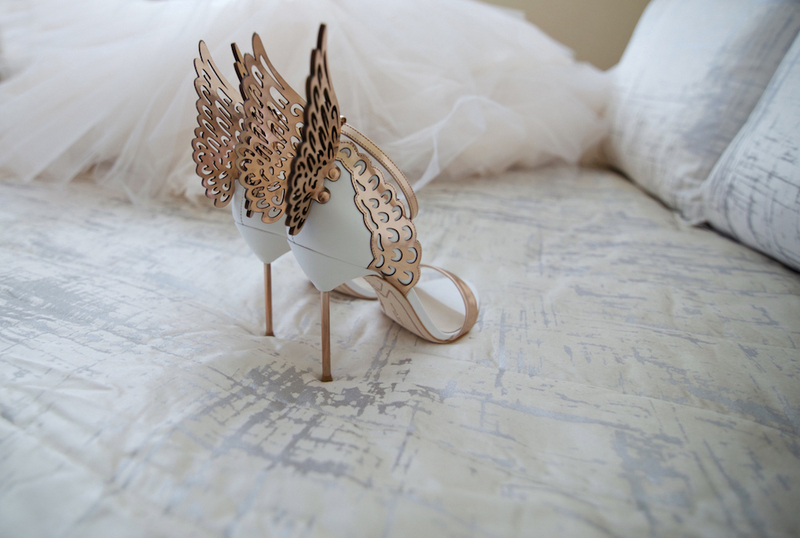 I don’t think a girl should wear a bridal shoe, you want the shoe to look like who you are and your age! 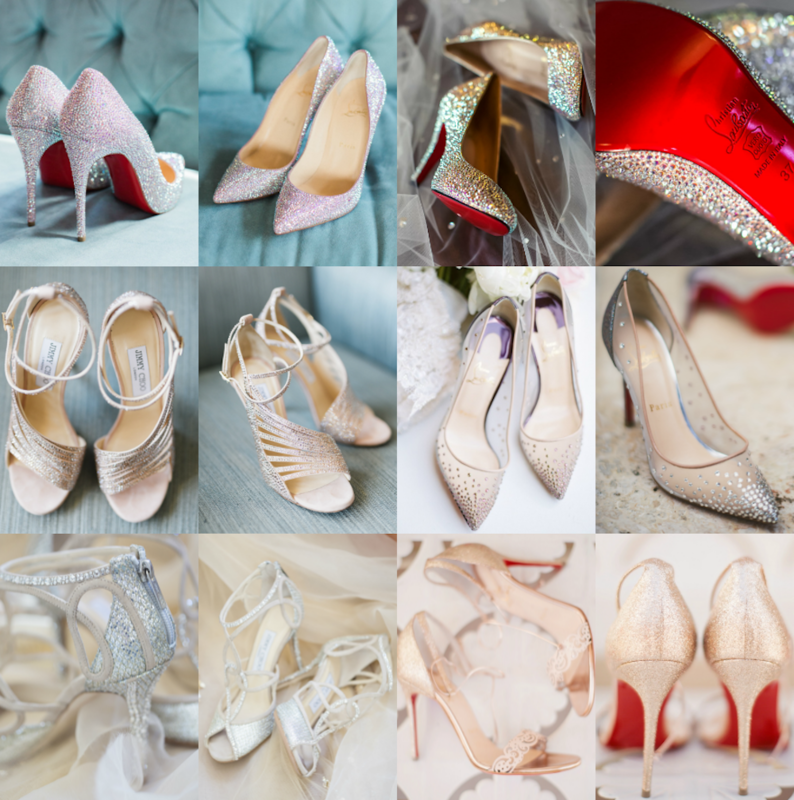 I’ve added some of my uptime favorite shoes, all unique in their own way depending on what type of bride you are. I would personally avoid big platform heels, they can look a little cheap and heavy on the foot. I would also suggest looking for shoes before you decide on your dream-dress. Far easier to customize your dress than your shoes!